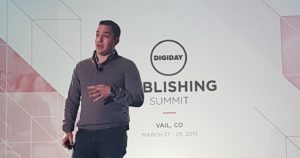 Digiday held their annual Publishing Summit in Vail, Colorado at the end of March. 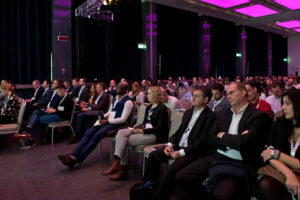 It’s three days of mingling, 8-Minute-Meetings, and sessions with the top publishers and tech vendors in the industry. Our very own CEO, Gil Bar-Tur, presented at the main stage explaining the necessary pivot-to-reality and importance of sustainability. He spoke on the relevance and recent growth of paid content distribution and why this strategy needs to be placed front and center. Gil broke down the stigma of content arbitrage by explaining that the bad reputation resulted from strategy abuse leading to a negative user experience. 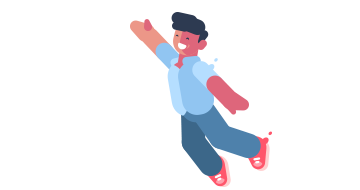 When used properly, arbitrage creates a win-win-win for publishers, advertisers, and users. You’ll probably be surprised to read that publishers like Forbes, WebMD, Washington Post, Buzzfeed, CNET, CBS, and Business Insider use this approach to drive traffic and scale their performance. The main issues publishers face are low traffic quality, lack of resources, the wrong type of content and issues with measuring ROI. With numerous issues looming, publishers should consider reintroducing the arbitrage model. So, how can publishers learn from past mistakes and turn paid content distribution into a success? First and foremost, they need a technology allowing for proper measurement and management, a specialized team that curates the content and creates campaigns, and lastly, the knowledge base that comes with an experienced team. Paid subscriptions became trendy in early 2018 and have maintained relevancy as publishers big and small extrapolate on the potential gains of entering that market. Additionally, companies like Apple have created a subscription bundle service (monthly cost of $9.99) that has publishers on the edge of their seat worried about brand dilution and revenue transparency. It’s a platform world, publishers are merely living in it. As the duopoly of Facebook and Google continue to show their dominance with changing algorithms and rules, publisher ad revenue models are in need of constant change. Another takeaway from the summit is that Facebook has a way to go in monetizing their instant articles. This topic is far from new but it continues to be on the forefront for advertisers and publishers. Programmatic guarantees, dynamic pricing, and the integration between programmatic and direct sales aim to simplify the process. Artificial Intelligence (AI) also plays a role in the programmatic landscape, assisting with auctions and dynamic creative optimizations.